Palmate, deep red. 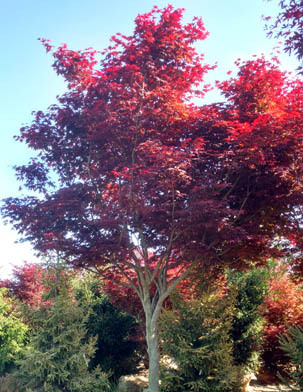 The standard for red palmatum types, having excellent color retention. One of the hardiest, most reliable cultivars that has stood the test of time.